A muffin cake is actually made with muffin batter – except that it is baked in a cake tin, rather than in muffin cups. It can be a great breakfast treat in the summer. 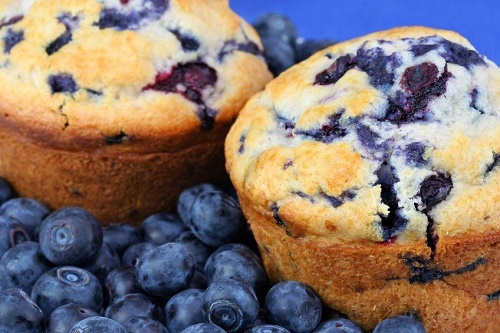 You simply make muffin batter the way you usually do, but fold blueberries in toward the end of the process.